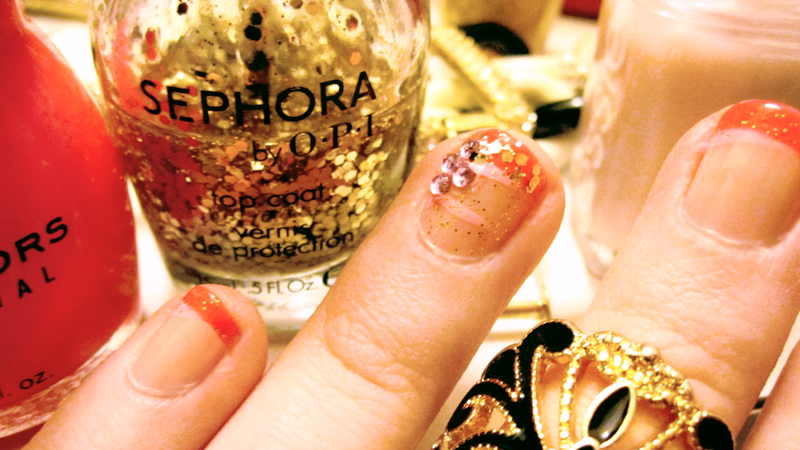 ECLECTIC À LA MODE | style blog: UBER-GIRLY FANTASTIC SUPER BIRTHDAY-PARTY-READY DIY MANI! 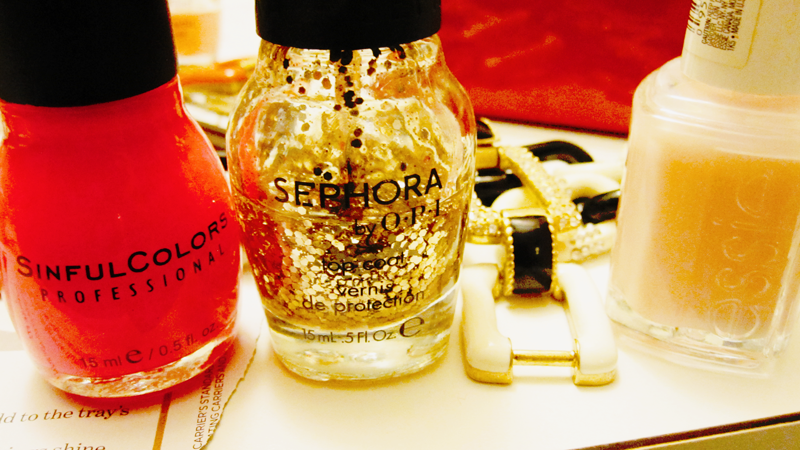 UBER-GIRLY FANTASTIC SUPER BIRTHDAY-PARTY-READY DIY MANI! As if life could not be more fun and/or ridiculous? I decided I wanted to emulate (who else?) Barbie with my DIY this week and painted on a mani that's super-kawaii like a luscious pink birthday cake topped in glittery frosting. It's a fade from my natural nail to hot pink with a streak of bubblegum that —of course since we're going for kawaii— is bedazzled with gemstones and extra glitter on the accent nail. 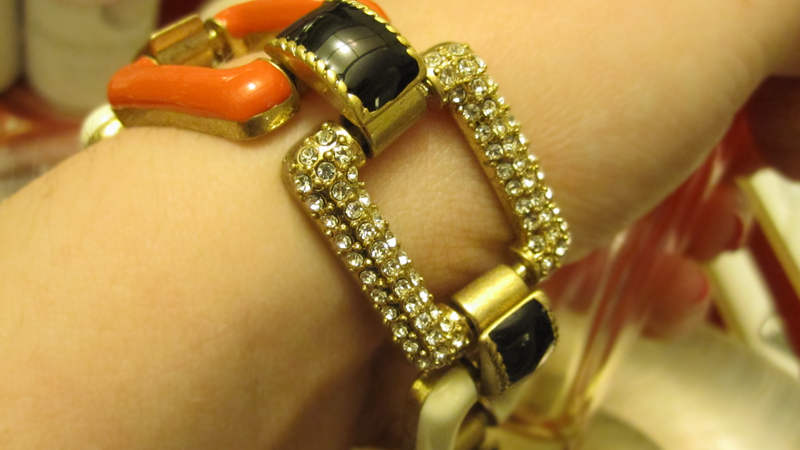 ...And I am loving how well my blinged out mani goes with this little number. I plan on wearing this to my blogger-from-another-motha's bday shebang this weekend, if it lasts that long without any chips! 'sugar daddy'; Essie, 'pink'; Sinful Colors, 'soft pink'; Kiss Nail Art Paint, love & beauty gold sparkle, 'only gold for me top coat'; Sephora by OPI, 'maximum growth'; Sally Hansen, Indian bindi appliqués.